In blind image deconvolution, priors are often leveraged to constrain the solution space, so as to alleviate the under-determinacy. Priors which are trained separately from the task of deconvolution tend to be instable, or ineffective. We propose the Golf Optimizer, a novel but simple form of network that learns deep priors from data with better propagation behavior. Like playing golf, our method first estimates an aggressive propagation towards optimum using one network, and recurrently applies a residual CNN to learn the gradient of prior for delicate correction on restoration. Experiments show that our network achieves competitive performance on GoPro dataset, and our model is extremely lightweight compared with the state-of-art works. Spectral images captured by satellites and radio-telescopes are analyzed to obtain information about geological compositions distributions, distant asters as well as undersea terrain. Spectral images usually contain tens to hundreds of continuous narrow spectral bands and are widely used in various fields. But the vast majority of those image signals are beyond the visible range, which calls for special visualization technique. The visualizations of spectral images shall convey as much information as possible from the original signal and facilitate image interpretation. However, most of the existing visualizatio methods display spectral images in false colors, which contradict with human's experience and expectation. In this paper, we present a novel visualization generative adversarial network (GAN) to display spectral images in natural colors. To achieve our goal, we propose a loss function which consists of an adversarial loss and a structure loss. 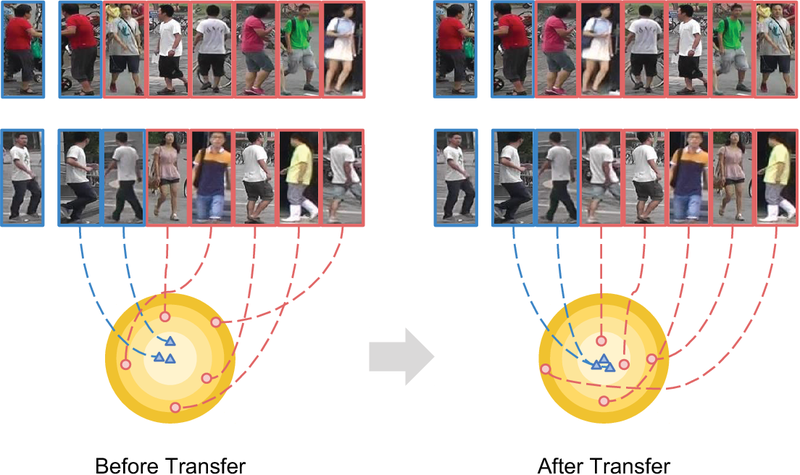 The adversarial loss pushes our solution to the natural image distribution using a discriminator network that is trained to differentiate between false-color images and natural-color images. We also use a cycle loss as the structure constraint to guarantee structure consistency. Experimental results show that our method is able to generate structure-preserved and natural-looking visualizations. Displaying the large number of bands in a hyper spectral image on a trichromatic monitor has been an active research topic. The visualized image shall convey as much information as possible form the original data and facilitate image interpretation. Most existing methods display HSIs in false colors which contradict with human's experience and expectation. In this paper, we propose a nonlinear approach to visualize an input HSI with natural colors by taking advantage of a corresponding RGB image. Our approach is based on Moving Least Squares, an interpolation scheme for reconstructing a surface from a set of control points, which in our case is a set of matching pixels between the HSI and the corresponding RGB image. Based on MLS, the proposed method solves for each spectral signature a unique transformation so that the non linear structure of the HSI can be preserved. 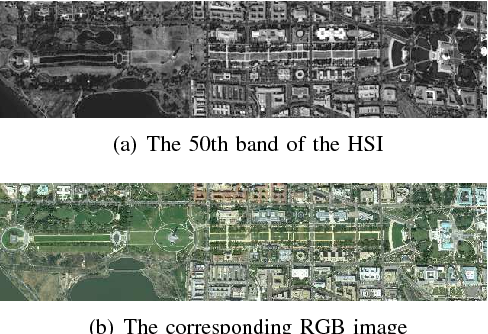 The matching pixels between a pair of HSI and RGB image can be reused to display other HSIs captured b the same imaging sensor with natural colors. Experiments show that the output image of the proposed method no only have natural colors but also maintain the visual information necessary for human analysis. 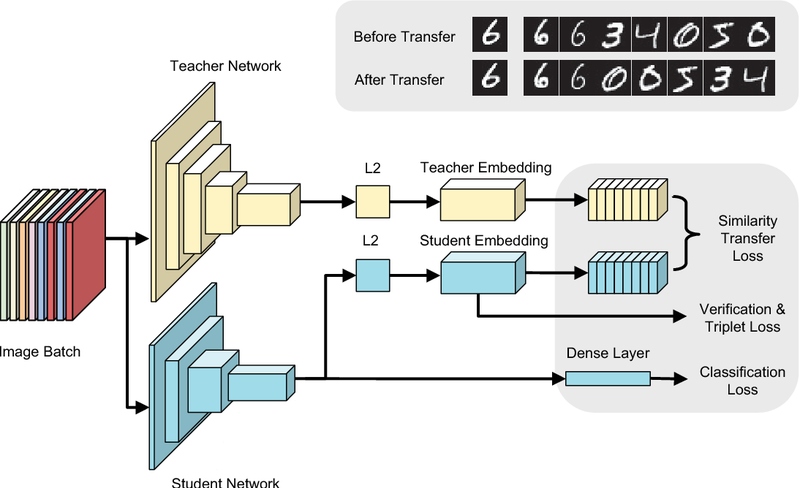 Deep learning has been widely used for hyperspectral pixel classification due to its ability of generating deep feature representation. However, how to construct an efficient and powerful network suitable for hyperspectral data is still under exploration. 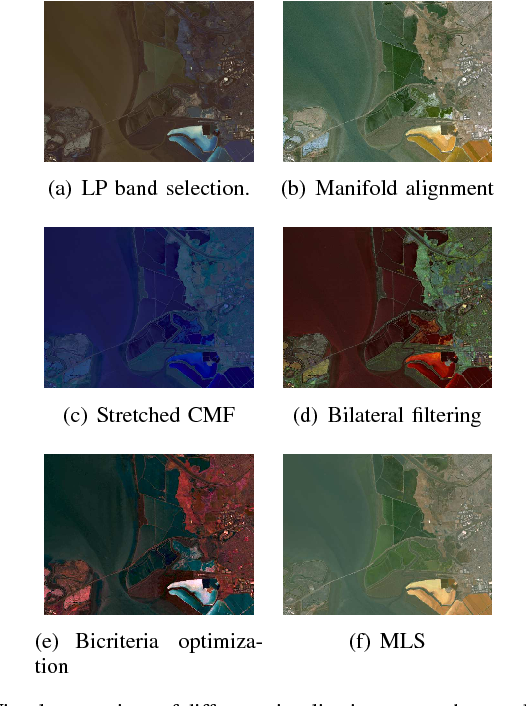 In this paper, a novel neural network model is designed for taking full advantage of the spectral-spatial structure of hyperspectral data. 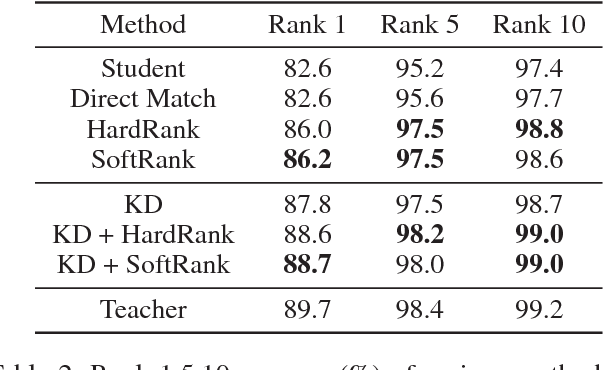 Firstly, we extract pixel-based intrinsic features from rich yet redundant spectral bands by a subnetwork with supervised pre-training scheme. 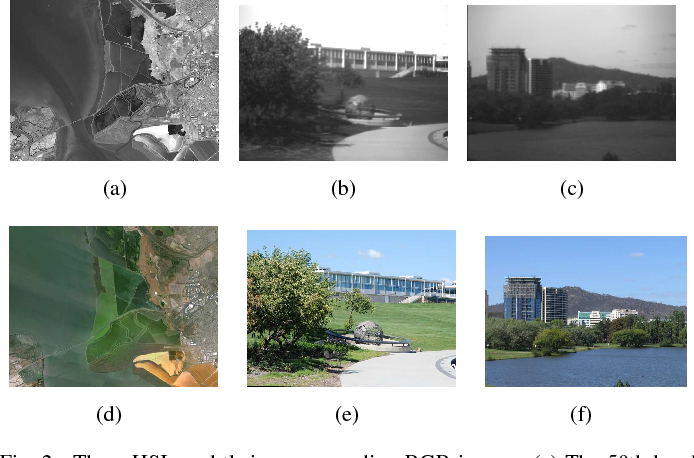 Secondly, in order to utilize the local spatial correlation among pixels, we share the previous subnetwork as a spectral feature extractor for each pixel in a patch of image, after which the spectral features of all pixels in a patch are combined and feeded into the subsequent classification subnetwork. 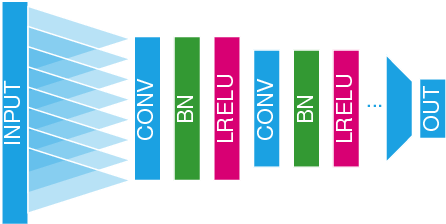 Finally, the whole network is further fine-tuned to improve its classification performance. 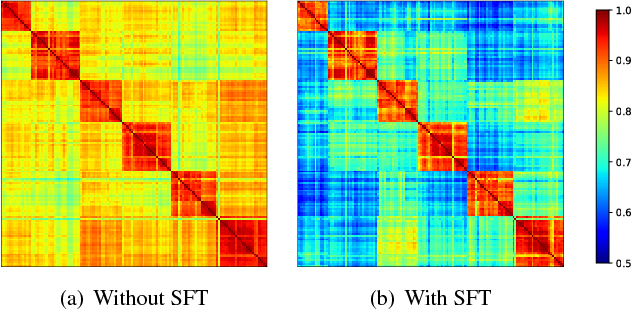 Specially, the spectral-spatial factorization scheme is applied in our model architecture, making the network size and the number of parameters great less than the existing spectral-spatial deep networks for hyperspectral image classification. 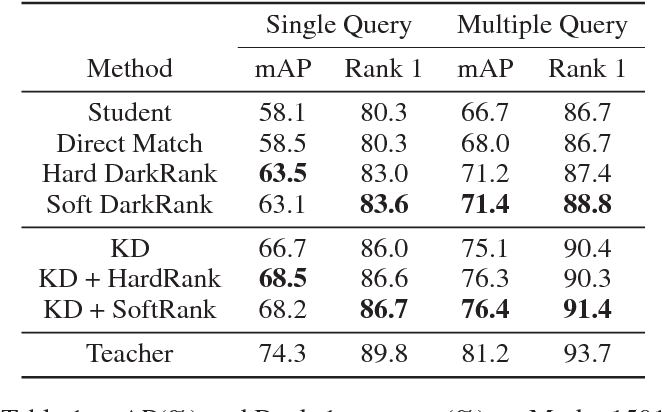 Experiments on the hyperspectral data sets show that, compared with some state-of-art deep learning methods, our method achieves better classification results while having smaller network size and less parameters.